2004 Fisher Liberty 180 As our smallest pleasure cruiser, the Liberty 180 is very easy to maneuver, dock and tow. Traditional construction and Fisher Pontoon Boats quality combine to create a boat with lasting value and loads of luxury amenities for your friends and family to enjoy. 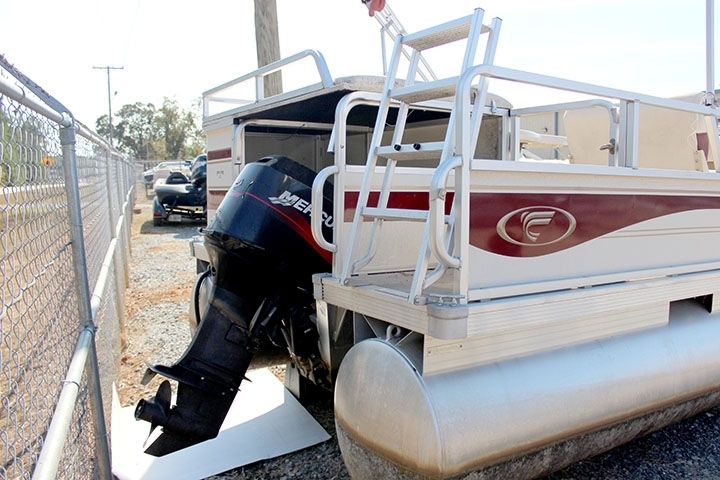 Standard features include 24" multi-chambered pontoon tubes, rotomolded furniture frames, an aluminum transom, comfortable lounge seating, AM/FM CD stereo, binnacle controls, sun deck and a removable table. Plus, the seven-ply pressure treated deck is covered by our Play Forever Limited Lifetime Warranty. 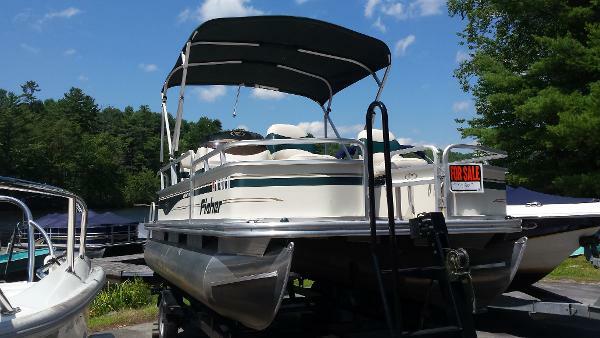 2009 Fisher Liberty 180 The Liberty 180 by FISHER is our most compact pontoon. Its no-compromise design will get you, family and friends on the lake in style. Plus, its manageable size makes it easy to maneuver and dock. 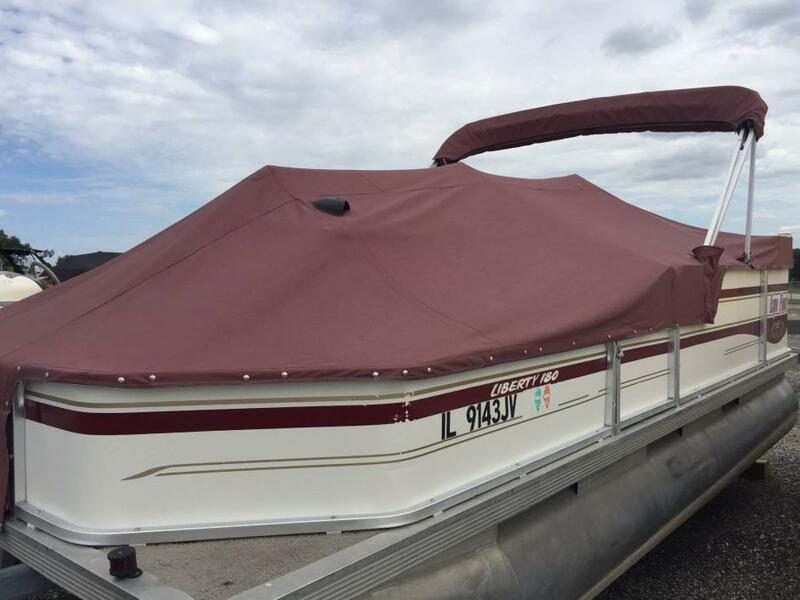 Standard features include a spacious L-shaped aft lounge, two fishing seats, below-seat storage, padded aft sundeck, movable table, boarding ladder and aft entry gate, and color-keyed polyester Bimini top.